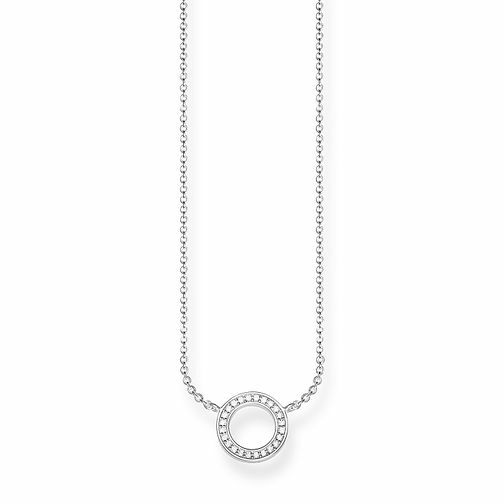 Classic Circle Zirconia Necklace from the Glam & Soul collection. With lobster clasp, crafted from 925 Sterling silver, with white zirconia pave. Back to Basic with a minimalist, graphic design: the stylish circular design encrusted with white zirconia becomes a statement thanks to its subtle elegance and dazzling look.